Oconee will be a long time coming back from this recession and housing bust. Instead of expecting more revenue from a growing digest each year, some thought needs to be given to a decline in the digest and more frugal budgeting. We have too much housing, offices and commercial strips. We need to be more spending conscious- not all incumbents have been known for that�.. It looks like a busy political season in Oconee for the 2012 Primary on July 31, 2012, and Runoff on August 21, 2012. Qualifying is May 23-25. This is not necessarily a good time for elected incumbents. Several candidates have qualified for Post 4, currently held by Chuck Horton who has announced he will be a candidate for Chairman. Post 1 held by incumbent Jim Luke has no announced opponent to Luke. Some have speculated that after three terms and being President of ACCG Melvin Davis would not run with an announced opponent, Chuck Horton. There are signs that Davis is considering running again- his ego just can’t let go. Sarah Bell came close in 2008 but some folks feel she has gone to the well once too often. Chuck Horton will be the ‘odds on favorite’ for Chairman. Post 4, being vacated by Chuck Horton, has four announced candidates: William (Bubber) Wilkes, Travis Marshall, Tammy Gilland and Mark Saxon. The three men are all longtime residents or natives. Wilkes and Marshall are neighbors south of Watkinsville on GA Hwy 15. They will split the “Old Line Oconee and Antioch” vote. Saxon will draw “Old Line” votes in the Bogart and Clotfelter Rd area. This should position Gilland for a good chance for a runoff spot. One of the Post 4 candidates should consider running against Luke for Post 1. He has been a major supporter and advocate for the ill-advised Hard Labor Creek Reservoir in Walton County. The plans call for pumping raw water from High Shoals for 18 miles to Hard Labor Creek site and then pump treated water for 18 miles back to Oconee. The HLC project is not running as well as local media tries to portray. There are funding issues. Exaggerated growth projections were used to support the project. Melvin Davis and Jim Luke voted for the project. Many now feel it should just be stopped and cut our losses. It needs to be examined in more detail by voters this year. Some of the incumbents and challengers were involved in planning and zoning decisions in recent years that led to the abundance of defunct subdivisions. I hope they are questioned about revenue amounts from those large subdivisions. Oconee will be a long time coming back from this recession and housing bust. Instead of expecting more revenue from a growing digest each year, some thought needs to be given to a decline in the digest and more frugal budgeting. We have too much housing, offices and commercial strips. We need to be more spending conscious- not all incumbents and some challengers have been known for that. Davis grew up at Rome, GA, with a farm and 4-H Background. He retired from the Georgia Extension Service in the mid-90s.He has participated in many local and community activities.He was elected Chairman in 2000.He is the current President of the Association County Commissioners of Georgia and holds various area titles, including Chairman of the Upper Oconee Basin Water Authority.Chairman Davis and his wife Esther have resided in Oconee County for 45 years. 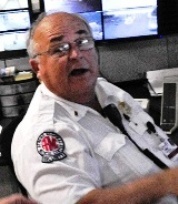 Chuck is a native of Brunswick GA and attended the University of GA on a football scholarship.He retired as the University of GA as Police Chief in 2004, after serving 28 years, with 16 years as Chief. Chuck and his wife of 33 years, Brenda, have lived in Oconee County for over 28 years. Chuck was elected as a member of the Oconee County Board of Education in1992.He was elected Chairman in 1997 and served a four year term and did not seek re-election.He defeated Bubber Wilkes for Commissioner in 2004. He has been active in forming consensus to limit the powers and actions of Chairman Davis. Sarah Bell was Chair of the Oconee County Republican Party in the late 90’s until she was deposed by a Coalition of Donald Norris, Melvin Davis, Bob Smith and Jim Ivey et al in 2000. Bell has lived in Athens or Oconee County since 1978 when entered graduate school at the University of Georgia.She has spent the majority of her life as an educator, Red Cross volunteer and advocate for stray cats and dogs.For several years, she has been an adjunct professor of English at Gainesville State College.She lost a narrow election (100 vote margin) to Melvin Davis for Chairman in 2008. She was an unsuccessful candidate for House District 113 in the summer of 2011. Jim Luke is an Oconee County native; born and raised in Bogart, and a graduate of Oconee County High School.He attended Georgia Southwestern College and the University of Georgia.In 1971, he married to Oconee native, Phyllis Sims. He worked in manufacturing and hardware in the Atlanta area in his early career. He opened Luke’s Hardware store on the Atlanta Hwy in Athens in 1990. 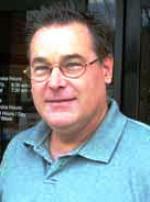 He served on the Oconee Planning commission in the late 90’s and early 2000’s. He was elected to Post 1 in 2004.He is involved with and an enthusiastic supporter of the Hard Labor Creek Reservoir Project in Walton County.Luke has served on the Hard Labor Creek Reservoir Management Board since 2006 and as Chairman since 2009. William E. (Bubber) Wilkes, Post 4 candidate, is an Oconee County native and graduate of Oconee County High School He served 20 years as Oconee County Commissioner from 1984 until losing to Chuck Horton in 2004 by a narrow margin.For most of his adult life, Bubber was in farming, mainly turkeys. 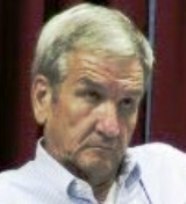 He now works in Security at Athens Regional Medical Center and part-time at Lord & Stephens Funeral Homes.Bubber has kept an interest in County Government and Politics and wants to return to his old post which he won over Incumbent James Marshall in 1984. In early January, Travis Marshall announced that he was seriously considering for Post 4, a seat held by his father until he lost to Bubber Wilkes in 1984. Travis is an Oconee County native and graduate of Oconee County High School. He has a background in agriculture and building.He has also developed subdivisions.Travis has been a member of the Oconee County Planning Commission for over 10 years. He was involved in a controversial rezone in 2008 and filed suit against the County. Travis says he wants to slow down spending and help the construction industry in the county. Tammy Gilland has worked at The University of Georgia for 21 years; currently serving as Chief of Staff and Senior Director of Development. Tammy is married to Geof Gilland, who is a TV/Producer Director in the Office of Public Affairs at UGA. They have two children, Lyndsey, a senior at North Oconee High School, and Tyler, an 8th grader at Malcom Bridge Middle School. Tammy has been very active in Community and Civic affairs, currently serving on the boards of the Oconee County and Athens-Area Chambers of Commerce; President of the Oconee Rotary Club; President of the Junior League of Athens; President of the Athens-Oconee Junior Woman’s Club; President of the Board for the East Chapter of the American Red Cross; President of the YWCO; Chair of the Oconee County 4-H Program Development Team; and Chair of the Athens Regional Medical Center Foundation’s Annual Gifts Committee. She is currently secretary of the Oconee County Republican Party, co-chair for Oconee County After Prom 2012, chair of the Oconee Cultural Arts Foundation’s Winefest,…. Tammy is a 2005 graduate of Leadership Georgia and recipient of the Athena Award from the Athens-Area Chamber of Commerce, Jennie Award from the General Federation of Women’s Clubs, the Girl Scouts of Historic Georgia’s Woman of Distinction, and Oconee County Rotarian of the Year and Four Way Test Recipient as well as other positions and honors.
. Tammy ran for Post 3 in 2010 and lost to incumbent Margaret Hale. Since then, she has been factitively involved with the Oconee County GOP, currently serving as Secretary. Mark Saxon, 48, is retired from the U.S. Army, retiring as a Sergeant Major. Mark has lived in the county for 41 years, the last 23 years on Clotfelter Road. 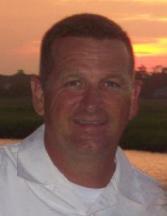 Mark is a 1982 graduate of Oconee County High School. 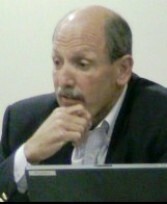 He attended Georgia Southern University. His wife, Marie, is a science teacher at North Oconee High. They have two children.Mark Last served as the State of Georgia Senior Enlisted Sergeant Major for Headquarters, Georgia Army National Guard, Mobilization Section. Mark Saxon says he is a lifelong Republican. His brother, Bobby, ran as a Democrat for the U.S. Congress in 2008 against Paul Broun.